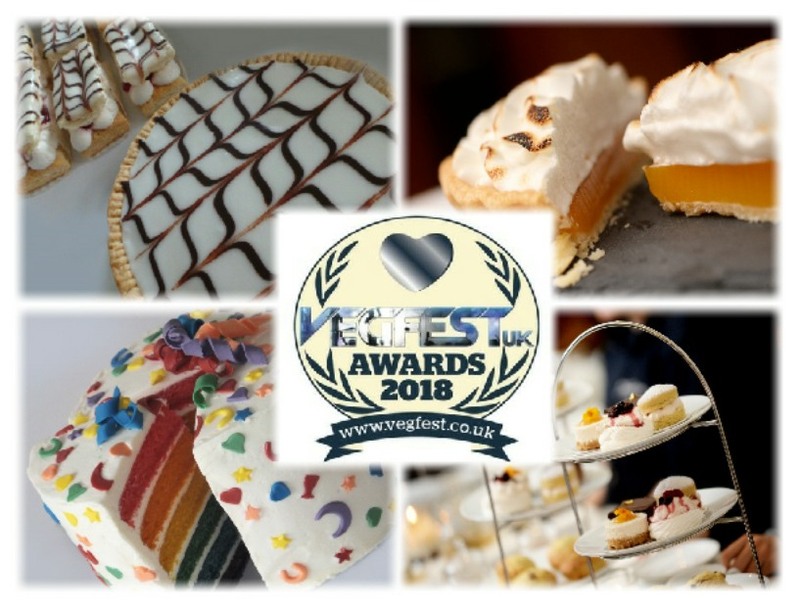 The Vegan Cakery nominated for VegfestUK Awards 2018! Multi award-winning Leicestershire baker Michelle Orme is aiming for an unprecedented fourth consecutive success in the annual Vegfest UK Awards this year, after being nominated once again in the ‘Best Vegan Cakes’ category. Michelle, a self-taught vegan baker, established her business The Vegan Cakery in June 2012 with two key aims – to provide the ultimate in vegan cakes, pastries and associated treats, and to also donate as much funding as possible to a wide variety of animal charities and sanctuaries. Over the past six years the ‘Cakery has become one of the most highly regarded and hugely popular brands in the vegan food industry, winning a total of seven national accolades thus far, with a large customer base the length and breadth of the UK. Notably, to this day, The Vegan Cakery remains a one-woman operation with Michelle looking after all aspects of the business, from packaging and marketing to purchasing and, of course, the actual baking itself! First nominated for a Vegfest UK Award in 2015, the ‘Cakery went on to achieve the then ‘Best Vegan Bakery’ accolade and has won the category each year since. Claiming a fourth successive award would, says Michelle, be an immense honour – especially as the accolades are voted for by the general public. “It really is fantastic to have been nominated again for the Vegfest UK Awards, I’m elated to have been included in the Best Vegan Cakes category for the fourth year running”, she commented, “I always put 100% into everything I do with The Vegan Cakery, so it’s very humbling when that effort is acknowledged by customers. As well as its thriving online portal www.vegancakery.com which features 200 baked-to-order handmade products, and trade orders for eateries such as Café Mbriki on Carts Lane in the heart of Leicester city centre, The Vegan Cakery attends vegan fairs and festivals across the country. Additionally, Michelle has been running ‘high-end’ vegan Afternoon Tea experiences at venues around the UK since last autumn which have proven unbelievably popular. The winners of the 18 categories will be revealed at a special ceremony at Vegfest UK on Saturday, 27th October, at Olympia London in Kensington.